To instantly view local delivery & collection options, go to any product page & tell us where you want the item. 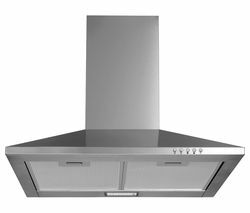 Catering to a wide range of budgets and kitchen requirements, our selection of cooking hoods includes the latest models from all the leading brands, including Belling cooker hoods and the pick of the Neff range of cooker hoods. Refine your search to find a hood with your favoured noise level, from 60+ db to whisper quiet hoods with a rating of less than 45 db. You can also pick from a range of sizes, enabling precise integration into your kitchen. And because we know looks are another important consideration when designing your dream kitchen, our range includes a multitude of sleekly styled hoods to suit every taste. If you’re after something a bit special, we’ve got statement hoods that will provide a striking centrepiece for the most stylish of kitchens. 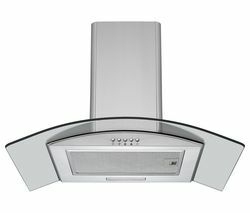 The Elica Celestial Island Cooker Hood boasts elegant, sculptural contours and outstanding build quality while the stunning Siemens LF159RF50B combines exceptional extraction performance with designer looks – the perfect synthesis of form and function. An effective, well-integrated cooking hood is vital component of any kitchen, ensuring that the cooking environment remains well ventilated and free of unwanted vapours all the time. The right hood will enable you to enjoy unhindered cooking and the freedom to get creative in your kitchen – explore our extensive range today.